The Turkish-Syrian border is getting back to normal. That, at least, is the message that Ankara is hoping to send. Last week, it reopened one gate on its southeastern border after eight years and promised to open a second one soon toward Afrin, the region from which it drove Syrian Kurdish militants just last year. Yet what will happen at the border when the US withdraws its troops remains a deeply contentious issue. Talks between Turkey and the US over this buffer zone don’t appear to have reached any concrete conclusions – with Ankara vowing again over last weekend to enforce a safe zone itself if the talks break down. Broadly, there are three possible ways a buffer zone could be patrolled: jointly by US and Turkish troops; unilaterally by Turkish troops; or by Syrian troops if control of the zone passes back to the regime. But in a final throw of the dice, Syria’s Kurds have sought to promote a fourth option: getting European Union countries to fill the security gap after the US withdraws. For weeks, Kurdish leaders have toured European capitals pushing this plan, which would see EU countries make up the bulk of an international monitoring force. Earlier this month, the US offered EU countries a March 8 deadline for signing up to the plan. That deadline has come and gone with not a single response from European nations. It is certainly clear that EU countries would like to assist the Kurds as payback for their support in the war against ISIS, and so that the Kurds don’t retreat back into an alliance with the Syrian regime. But what the EU can do and what the Syrian Kurds want the EU to do are poles apart. Even if Europe wanted to, it cannot help the Kurds in the way they would like. For weeks now, there has been frantic diplomacy between the many groups scrambling to impose their vision of what comes after the US withdrawal. This diplomacy has been a mixture of promises and threats. When Ilham Ahmed, co-chair of the Syrian Democratic Council, the political arm of the Kurdish-dominated Syrian Democratic Forces, toured Washington, London and Paris in early February to try to persuade politicians to support the Kurds, she also carried a threat: help us or we will return to the regime. The regime, too, reached out with a threat, with Bashar Al Assad warning the Kurds last month that “no one will defend you except the Syrian Arab army.” Even Turkey has reached out to Syrian Kurds in a limited way, seeking to draw a distinction between the political leadership and the Syrian Kurds living in the border region. All are trying to persuade the Kurds to fall in line behind their vision of a buffer zone. 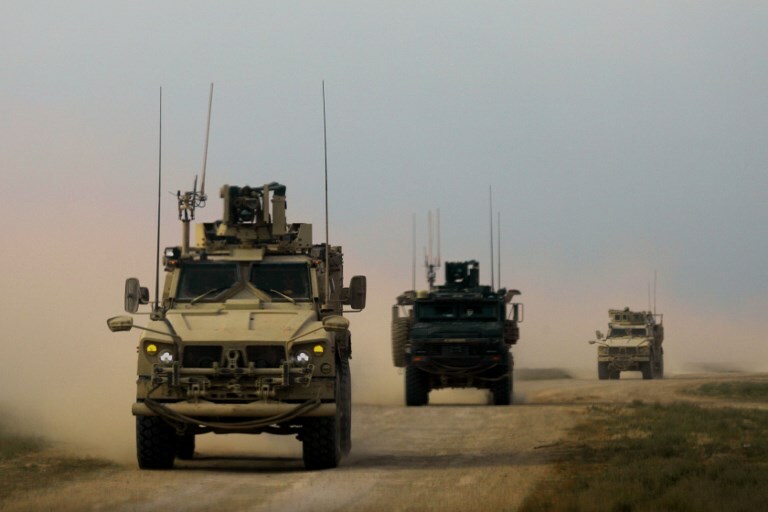 The option the Syrian Kurds favor is an international force, where, instead of US troops, European troops would form the bulk of the monitoring force – one report suggested around 1,500 Europeans with a smaller contingent of 200 Americans. The dilemma for the European Union countries is stark. The US and the Kurds are, in effect, asking them to take ownership of the border conflict, and put hundreds or thousands of their troops in harm’s way. But for what purpose has not yet been spelled out. Would it be to create a buffer zone between Turkey and the Kurds, or to protect the Kurds from the Assad regime? Would it be to stop ISIS returning, or a broader goal of halting Iran’s influence? Moreover, putting EU member states’ troops on the border would mean putting them directly in the cross-hairs of NATO ally Turkey. It is one thing for EU nations to support the Syrian Kurds in the context of a war against ISIS; but it is quite another to support what is, in legal terms, a breakaway part of Syrian territory – and one governed by a group against which Amnesty International has raised credible allegations of forced displacement and mass destruction. Nor, in any case, would having such an international force guarantee no conflict on the border. Turkey has twice demonstrated its capacity to conduct limited incursions to push out Kurdish militants. There is no reason to suppose it would not seek to do something similar again. The idea that European troops would be an umbrella shielding Syrian Kurds from both Turkey and the Syrian regime, and essentially allowing them to continue building a proto-state, is fanciful. Neither the Turks, nor the Syrian regime, nor indeed the Europeans, want that. Trapped between Ankara and Damascus, Syria’s Kurds, in a final throw of the dice, are hoping that European countries will offer them a way out. But from European capitals, it is not at all clear that they would be able to help the Kurds in such a way – even if they wanted to.